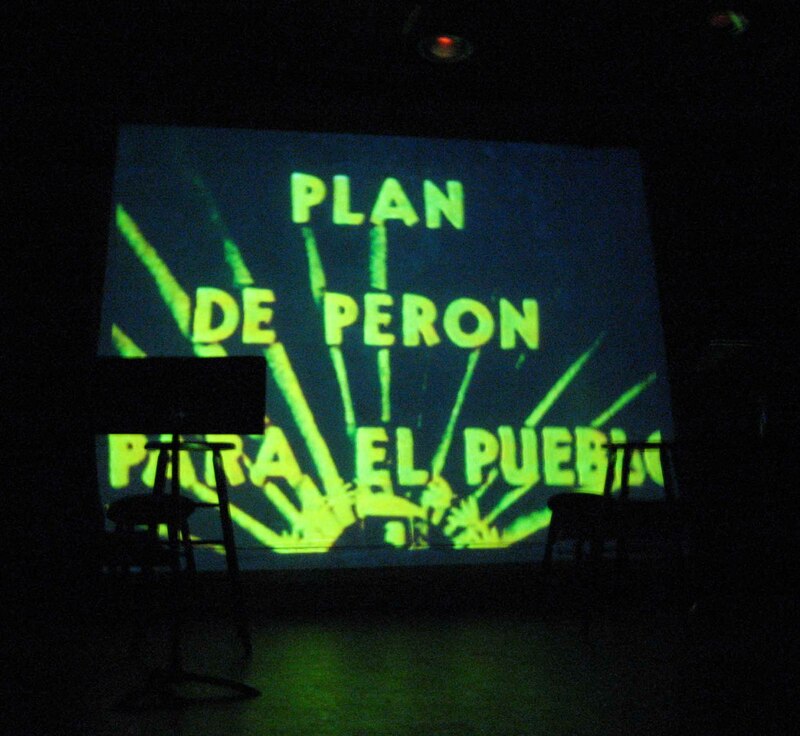 Director’s notes for Eva Peron in the Bonfire, staging of Eva Perón en la hoguera by Leónidas Lamborghini. Leónidas Lamborghini (Buenos Aires, 1927) published his poem “Eva Perón en la hoguera” in 1972. 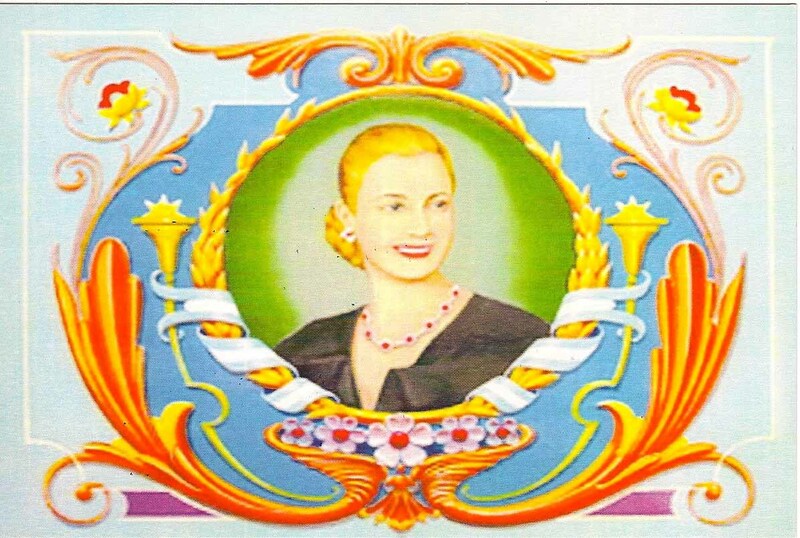 The text is based on the popular autobiography of Eva Perón, La razón de mi vida (My Mission in Life, 1952), a text that was mandatory reading in schools in the years of Peronism. In a tone that is direct, passionate, and deeply connected to the needs of the poor, in her autobiography, Evita communicates her beliefs about “la cosa por hacer” (the thing to be done) in the face of social injustice. La razón de mi vida—and Eva herself—was one of the many instruments through which Perón conveyed his plan for the Argentine people. Words as a measure of excess. In “Eva Perón en la hoguera,” a fragmented rewriting of Evita’s own words, Lamborghini approaches Evita and the Peronist doctrine as a text, or, better, as a texture composed of the many different layers through which political leaders captivated and indoctrinated the masses while making revolutionary changes that honored the rights of the oppressed. Lamborghini preserves the communicative intention that characterizes autobiography, but he situates the voice of Eva under the circumstance of fire. Inquisitional fire is the consequence of a lost case, women dying on the fire pit. But in Lamborghini’s poem, fire is also the outcome of the popular rebellion, the sign that marks the appearance of the multitudes from their place of uncounted mass to a position of enunciation. Evita lives in that fire. In our staging of Lamborghini’s eighteen fragmentary poems, we embrace reading as one of the central actions, partly because of a deep distrust in words learned by heart—a practice that defines the way in which our memory is regimented by official national narratives. 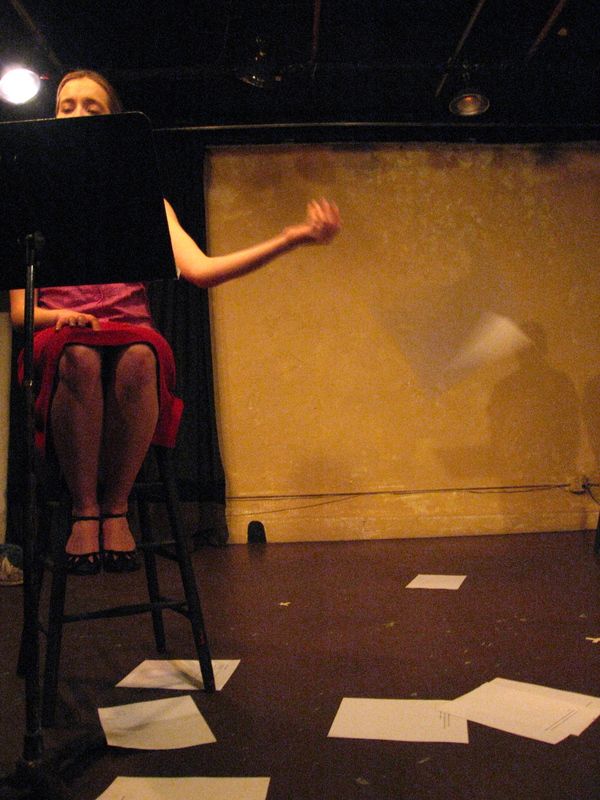 Reading is also present to conjure other score or text-based performance genres, such as music (also referenced in the staging via the music stands), poetry reading, and political speech. But most importantly, in this production, reading frames Lamborghini’s depiction of Evita because this is as much a tribute to Evita as to Lamborghini’s approach, a tribute to the event of poetic utterance. 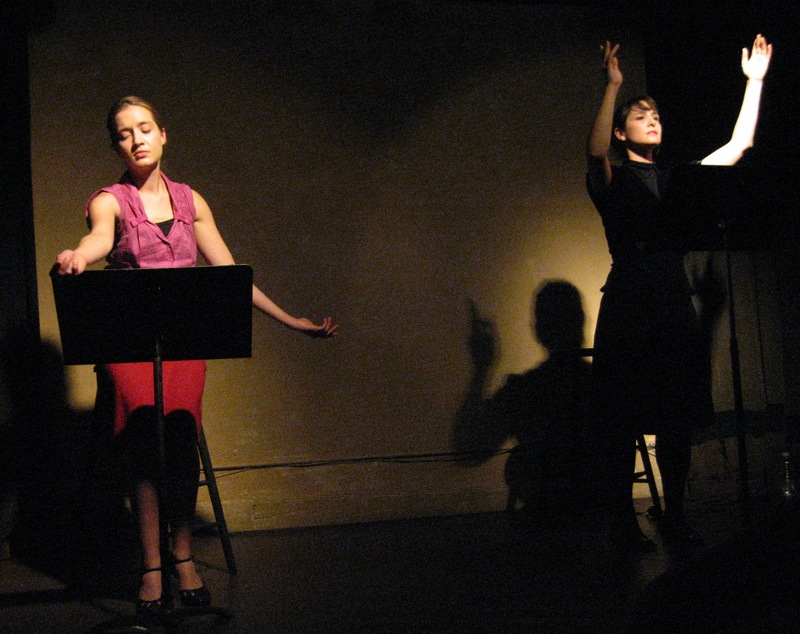 The presence of the text on stage, as an object displayed on music stands, allows us to draw attention to the execution of words—and to the words themselves—more than focusing on the anecdote that they help convey. Attention to the materiality of words and to the disrupted flow of Lamborghini’s text does not prevent us from finding ourselves suddenly overtaken by what has become a delayed dream, the utopian promise of a just society. Paradoxically, the abstract nature of Lamborghini’s rendition of Evita brings us closer to the myth. We see the grain that makes up this image, and yet we still fall under the enticing force of the whole. A return to that revolutionary period by way of its relics suggests a complicated object of nostalgia, one that cannot be totally embraced without a cautionary critical distance. “If I know she’s dead and gone / door to door from dusk till dawn / why do I search for her?” asks the protagonist of our last tango. The question captures the core of this project. From the ashes of State fetishism, revolutionary promises, and deferred dreams, we keep looking for Evita, and Evita, that word, reemerges again and again. 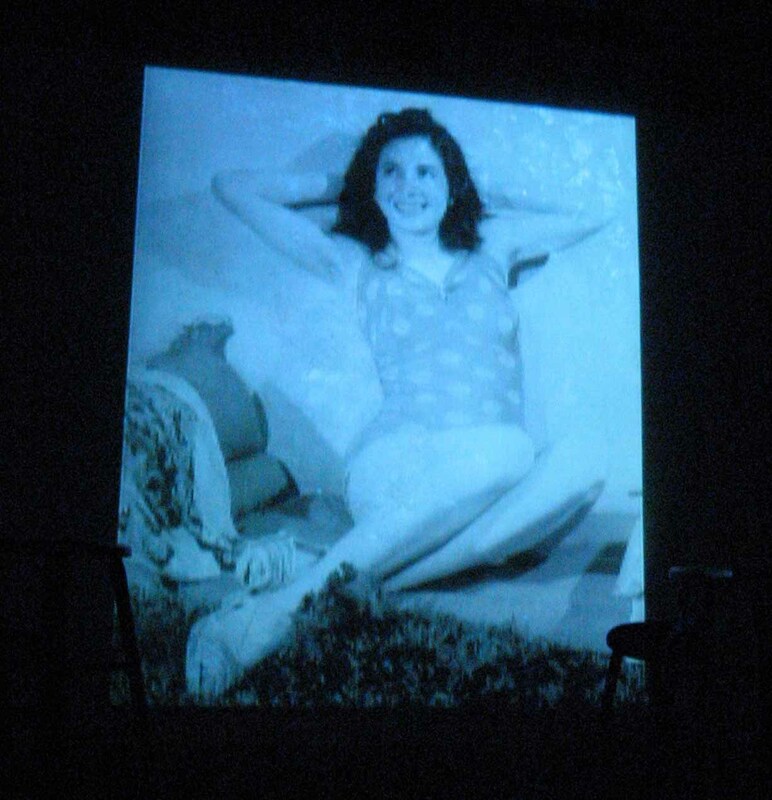 Eva Peron in the Bonfire. Soundtrack.